Under the patronage of H.E. Sheikh Ahmed bin Jassim bin Mohammed Al Thani, Minister of Economy & Commerce, Qatar is set to welcome the world’s leading hospitality companies, international experts and industry professionals at the upcoming Hospitality Qatar 2018, the international hospitality and HORECA (Hotel/Restaurant/Café) trade show in the country. The fourth edition of the show was launched today (Tuesday, October 30, 2018) during a press conference at Intercontinental the City Hotel. The event, which will take place from November 6 to 8, 2018 at the Doha Exhibition and Convention Center (DECC), is poised to witness another successful edition after three consecutive years of performances, owing it to the country’s booming hospitality market and pioneering initiatives of the country’s wise leaders to boost tourism opportunities and key destinations in line with the goals of Qatar National Vision 2030. 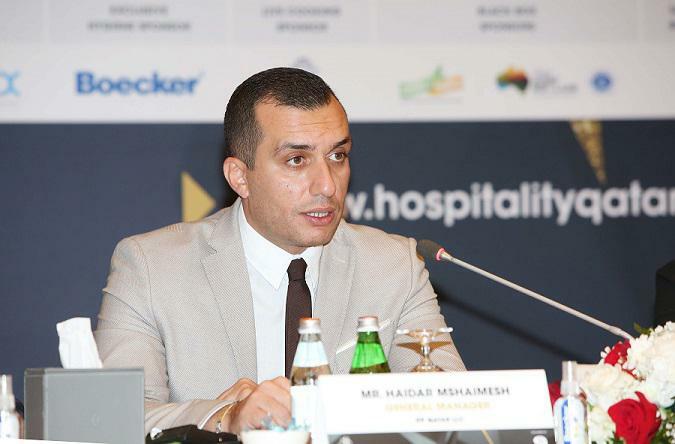 IFP Qatar announced during the press conference that Hospitality Qatar continues to expand year after year, as this year edition of Hospitality Qatar will witness a 21% increase in the number of exhibitors compared to last year. 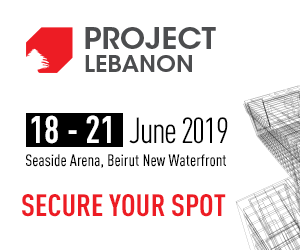 The exhibition will be providing an ideal platform for all hotel operators, HORECA suppliers, investors and industry professionals to share and draw inspiration from leading players in the hospitality and tourism sector. He added that the continuing growth trajectory of the sector where 41 hotel projects and 11,722 rooms are under construction in Doha, coupled with the continuing increase in tourist arrivals in the country owing it to the easing of visa requirements for visitors of more than 80 countries sets a new growth pace in the sector. Hotels in Qatar reported rising demand across the first three quarters of 2017 with room occupancy increasing by 4 percent compared to the same period in 2016. The average length of stay also grew by 10 percent compares to the same period of the previous year and experts predict that the overall growth of the sector will soar by 10 percent over the next three years. This year, in partnership with Qatar Tourism Authority (QTA), the first-ever conference themed ‘Future of Tourism in Qatar’ will be held on the sidelines of Qatar Hospitality 2018. The three-day conference will feature an extensive discussion focused on innovation and new technologies in tourism development, curating and designing new experiences for family visitors, as well as new initiatives in culinary excellence. Excellence in other key services such as public health safety will also play an important role in the sector. Carla Ghaleb, Country Manager, Boecker Public Safety, exclusive Hygiene sponsor of the event, noted the company’s keen participation at the event to provide essential services in the field leveraging on its global experiences. The exhibition will also feature products and services focused on hotel supply and design, franchising and investment, as well as food and beverages. There is also a dedicated B2B Matchmaking program aimed at connecting exhibitors and visitors and help identify potential business opportunities. Other exciting activities include competitions and live demonstrations by top local and international chefs through the Salon Culinaire, Mocktail Competition, Live Cooking Competition, and Barista Competition. Mahesh Joshi, Chief Financial Officer, Al Sraiya Hotels and Hospitality Group, said: “We are excited to become part of another vibrant year for the Hospitality Qatar as a major sponsor. We are proud to say that we have been part of this event since its inception. With the steady expansion across Qatar’s lifestyle scenes, we are confident of the growth in the sector as we continue to invest in new developments including increasing our hotel portfolio. We have signed to open the Staybridge Suites Hotel recently, which is part of the InterContinental Hotel Group and we are entering the F&B market with our first restaurant, the SAASNA, an authentic Qatari cuisine set to provide gastronomic delights to both local and international visitors. Maher Chukir, Corporate Communication Manager, Qatar National Import & Export Co. (QNIE) said, "We are proud to be present at the annual edition of Hospitality Qatar. Our company, which is one of the largest FMCG distribution companies in the country, will be sponsoring the live cooking competition, and our able and dedicated team will be on hand to help visitors and participants learn more about us and our key commitment to provide our customers with a focused and holistic solution according to their needs." Participation at the event has been growing year-on-year and the upcoming edition expects 188 exhibitors from 20 countries. In 2017, Hospitality Qatar had a total of 156 exhibitors from 15 countries, which showcased thousands of HORECA supplies and services to over 6,100 visitors.